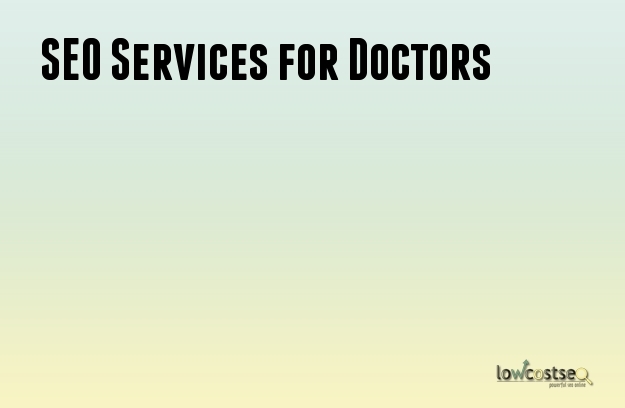 Just like SEO for taxi firms and other businesses, doctors require a very specialised focus when applying such techniques to their website. As we’ll show you, each of these needs directly addresses how an SEO agency should tailor their efforts. The goal for a doctor is likely not just to increase traffic, but increase relevant traffic, giving their patients better access to their doctor, while also allowing new patients within the area to find a new practice. Most doctors have a certain radius, but this will often depend on the nature of the business itself. A public doctor, such as a practice under the NHS in the UK, typically wants to focus on the immediate surrounding area. This can be easily achieved through ensuring the relevant neighbourhoods, areas and postcodes. For a private practice, however, you may find your patients are willing to come from further afield. In this case, it might be worth mentioning larger areas, such as the entire city. This is something that be discovered with effective keyword assessment and, of course, the expert, inside knowledge of the industry that the client can provide. In either case, it’s still important to make the location and contact details clear. Google should be able to pick and, where possible, display this quickly, both on the SERPs and Google maps results. As a whole, the main focus for a doctor should be the home page. For general practice, many people will typically seek some general contact information for a GP close to them. Next, they will likely want to phone and make an appointment. While a booking form on the page can certainly be useful, you should not forget the power of a mobile first index. Thanks to the popularity of smart phones (as well as the busy schedule that many people have) users often want the quickest option possible. On a phone, calling and getting an immediate answer can often be preferable to using input boxes and submission forms. All of this should be clear on your home page, which is the main priority for directing traffic. If you have any additional specialisations, you can mention them here but these are also the niches that may deserve their own category. For example, someone looking for “paediatrics in Birmingham” likely has a specific condition with their feet. This will require more tailored content, showcasing the doctor’s skills, specialisations and expertise in a range of pediatric conditions. This will help catch more long tail keywords, while also reassuring users of the doctor’s capabilities. These queries for niche specialisations, combined with location-based searches, are important for business. These are clients and patients who have a specific need and are looking for a solution. While the search terms may be smaller, they can more readily convert into actual, through-the-door traffic. As you can see, doctors have some specific needs when it comes to SEO, so it helps to have an SEO company that is aware of this. Follow our steps and you’ll be able to customise your efforts to better suit your goals.